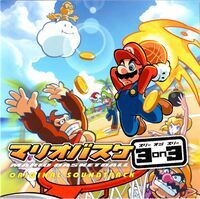 Mario Basketball 3on3 Original Soundtrack is an original soundtrack released only in Japan for the game Mario Hoops 3-on-3 and it was published by Square Enix. 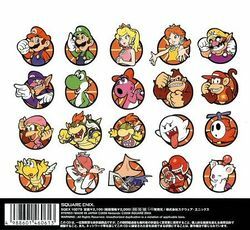 It has all thirty-one songs from the game, though the CD versions of the song are slightly altered and tend to have a higher sound and instrument quality than the in-game versions due to the limitations of the Nintendo DS sound chip being freed. Back cover including all character artwork (excluding Cactuar).